Netflix hit an all-time high on Thursday, but Todd Gordon says the charts show more records are ahead for shares of the streaming giant. The stock surged more than 5 percent on Thursday after an announcement that the company would be increasing the monthly price of its most popular streaming service by 10 percent. 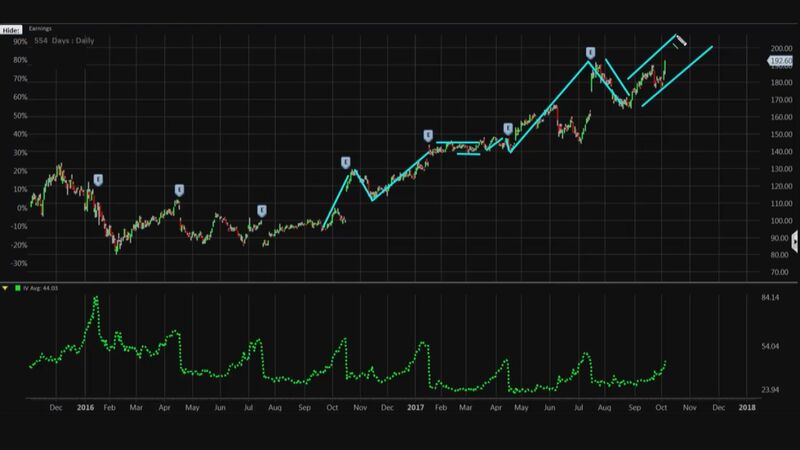 That, and the company's typical post-earnings performance, has the technical analyst and TradingAnalysis.com founder betting on an even bigger rally for Netflix. "Prices are going up on Netflix, and so is the price of the stock," the trader said on CNBC's "Trading Nation." Going back to September of last year, Gordon's chart shows that after every earnings report, Netflix has seen a big rally up before a smaller sell-off. And since the stock is currently in a "rally phase," Gordon expects Netflix to see the same big jump on its Oct. 16 earnings report. But as much as Gordon is betting on a big surge for Netflix, he also wants to establish a position at which to stop out of his trade if the stock actually falls. 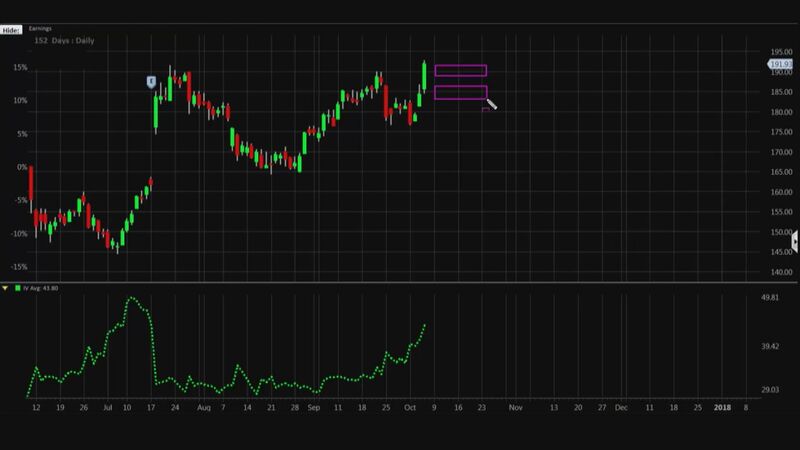 He believes that "support" is $186.70 for Netflix, as he determines this to be the level from which the stock broke out to new highs Thursday, and therefore sees that as a point to get out of his trade. Since he wants to go long on Netflix heading into earnings, Gordon is selling the October monthly 190-strike put and buying the October monthly 185-strike put for a credit of $2.15 per share or $215 per options contract, making that amount the maximum profit if Netflix closes above $190 on October expiration. If the stock were to close below $185 on October expiration, then Gordon could lose a maximum of $285 on the trade if he doesn't manage to exit at the $186.70 level he previously determined. With Thursday's rally, Netflix is currently up 57 percent year to date.